Harlem is a place in New York. 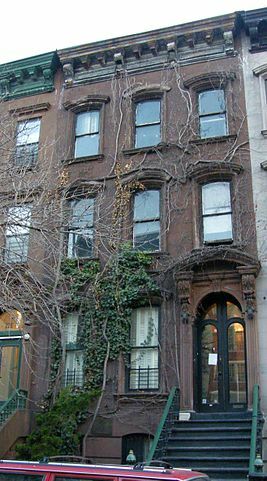 Many black people in the USA moved to Harlem in the 1920s. A lot of art was being made by black artists in Harlem. They made books, poems, plays, paintings, and music. The art helped black people come together as one community. Langston had moved around all his life. But he made a home in Harlem. More and more people read his poems. His poems were printed in books and magazines. People began to pay him to write more poems. Soon he did not need to work other jobs. His job was to write. Langston used his poems to fight racism. You can see this in his poem called “I, Too.” It is about a slave or servant who cannot eat with the white people when company comes. Black people were kept apart from white people in most places outside the home, too. See Chapter 6 in BC Reads: Adult Literacy Fundamental English – Course Pack 2. 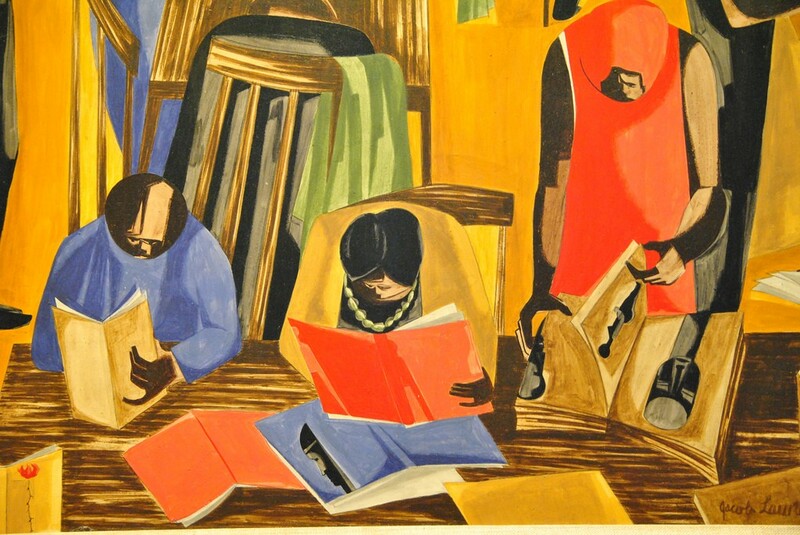 Jacob Lawrence by angela n. is used under a CC BY 2.0 license. Langston Hughes house by Americasroof is used under a CC BY 3.o license. Chapter 6 by Shantel Ivits is licensed under a Creative Commons Attribution 4.0 International License, except where otherwise noted.